Adult Education: What Do You Want to Learn? We will soon be offering some exciting adult education programs, but we need you to tell us what you most want to learn! Read on to see what the possibilities are. Learning opportunities abound at TEMV, with several Shabbat services focused on learning and study, family education programs through the school, and formal classes. I MOST wish to offer that which you would like to explore together! 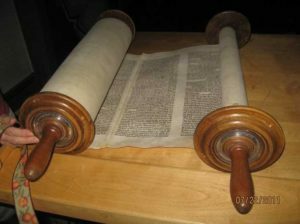 Our Adult Education page lists several possibilities, including Mussar, Hebrew Reading for Beginners, Beginning Text Study, and Adult Bar/Bat Mitzvah. Only those with significant interest will be scheduled. Meetings times to be determined based on availability of students. By mid-November, we’ll announce which of these offerings will available, after all have had the chance to weigh in with their interests and preferences, and will contact interested parties by email or phone to apprise you of the schedule. Please visit our Adult Education page for more details and to fill out and submit the form there if you are interested in any of the offerings. Kindly be in touch with me by email if there’s some other topic you’d like to explore.